VITA ENAMIC – the world’s first dental hybrid-ceramic with a dual network structure, which combines the positive characteristics of composite and ceramic. The dominant ceramic network in this dental material is strengthened by a polymer network, whereby both networks penetrate fully. The sophisticated grinding technique of the Ceramill Motion 2, which was specially developed for hybrid-ceramics, processes the blanks effortlessly and with consistent precision. The blanks are characterised in equal measure by their loading capacity and elasticity. 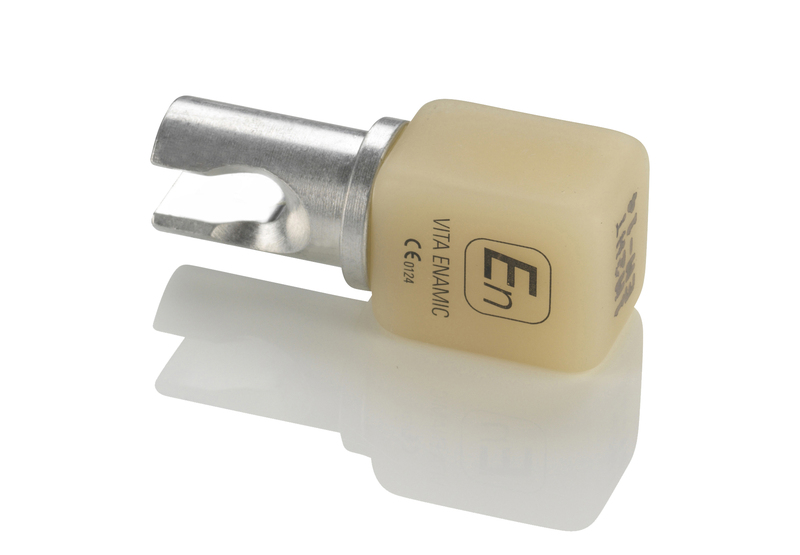 The VITA ENAMIC blanks have been optimally integrated in the workflow of the Ceramill CAD/CAM system analogous to the Ceramill material range. VITA ENAMIC is available in five 3D-Master shades and 2 levels of translucency for the Ceramill Motion 2.